Bus Rapid Transit UK » Can BRT deliver health benefits? Can BRT deliver health benefits? The Cambridgeshire Guided Busway opened in 2011 and has now carried more than 12 million passengers. As part of the devolution process, many city regions will gain powers to control their own transport and health budgets. The link between transport and the economy is well established, but what about between transport and health, or more specifically BRT and health? 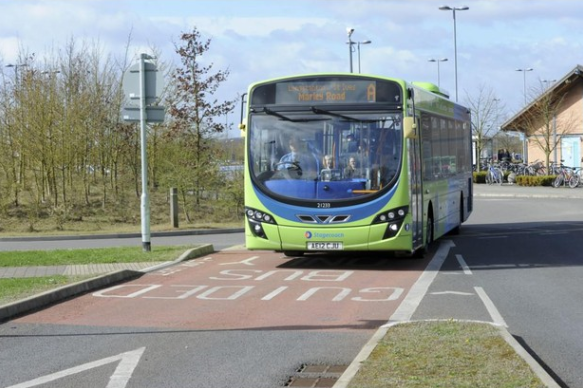 A team of researchers from Cambridge University have been using the Cambridgeshire Guided Busway as a living laboratory, studying the long term effects on regular users. Their study, published in the American Journal of Preventative Medicine, followed 469 commuters, assessing changes in their activity before and after the busway opened in 2011. Researchers from the Medical Research Council found the largest effect on physical activity was seen in those commuters who were least active before the busway opened, suggesting it could help change activity patterns in the population at large. Lead researcher Dr Jenna Panter said: “These findings provide new evidence to support changes to our transport systems as part of a public health strategy to support a more active way of life. The results follow others published earlier this year which showed a reduction in car use for commuters who use the busway. Interviews showed how commuters found the guided bus service convenient and accessible and appreciated the new traffic-free path. Others found the ticketing system confusing to begin with and disliked the lack of lighting along the path, with measures now in place to address these issues. Dr David Ogilvie, who led the study, said: “Although redesigning our towns and cities in this way may seem an obvious thing to do, the health benefits of doing this have rarely been tested in practice. Nigel Brigham, east of England director at Sustrans, welcomed the study. “This new research demonstrates once again that when quality cycling and walking routes are built, more people will use them”, he said. You can download the study or read plain English and scientific summaries here.